In 2010, over 400,000 government census workers were tasked to gather information about the United States population according to the Wall Street Journal's Market Watch website. One of the most vital pieces of information that census workers gathered was a person's marital status. For adults, the marital status is about much more than living arrangements. It can have a bearing on people's health and benefits in the future. 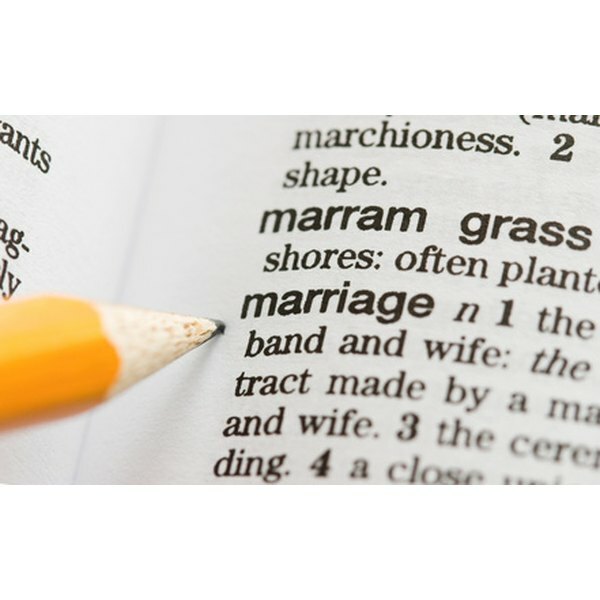 Make sure that you're able to correctly identify your legal marital status to census workers. To identify yourself as married, you must have been married legally by the proper authority or have lived with your partner long enough for your relationship to be considered a common law marriage depending on the laws of your specific state. The Seattle Times reports that the U.S. Census workers were instructed to count long-term gay and lesbian couples as "married" under the law, due to common law marriage laws. To be classified as separated, you must still be married, yet live in a different location than your spouse. The U.S. Census Bureau notes that the specification for separation was added to the U.S. Census in 1950. If you and your spouse are currently married, don't have plans to reconcile or are waiting for a divorce to be finalized, you'll be considered separated under Census law. To be considered divorced, the legal divorce proceedings to dissolve your marriage with your spouse has ended and the divorce has been granted. Even if you are currently living with a new person and have not married this individual, you are still considered divorced. The term "widowed" applies to all persons whose spouse has died. The term "widow" applies to female survivors and "widower" applies to male survivors. The University of Wisconsin notes that a widowed individual has the poorest health statistics of all the marital statuses, but this could be because widows and widowers typically have reached an advanced age. If your spouse died early in your relationship and you have never remarried, you'll still be considered widowed until you remarry. A person who is identified as "unmarried" or "never married" is one who has never been married. Check the common law specifications for the state in which you live, since you may be considered common law wed if you've lived with a long-term partner for a specific length of time. You only have to claim your common law partner on a census form if you want to, otherwise you'll be identified as never married. The Seattle Times: Census Workers Will Count Gay Couples who Check "Husband' or Wife"